I thought I'd try something a little different and began storytime with the Hokey Pokey. Both the parents and kids enjoyed this one, and I got comments from people outside the children's department saying they wished they could've joined in on the fun (this is always a good sign)! I handed each child a shape and when they saw their shape in the book, they came up and stuck it to our magnetic white board. They got really excited when they identified their shapes and had their shining moment! 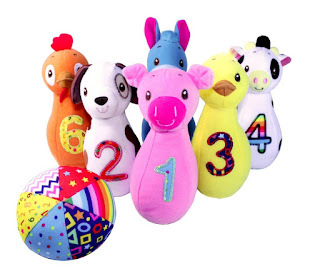 This is a fun little activity that includes counting and number recognition. We keep a set in the back so we can bring it out at any time. I encouraged kids to set the pins back up in numerical order. 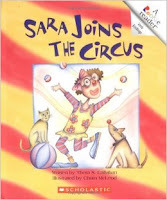 We tried this activity at our last Play Day program and I thought I'd try it at storytime. Since it's toddlers we're dealing with, I just put a long line of masking tape on the ground and created a big die to determine what you do to cross the tight rope (jump, wiggle, spin, stand on one leg, etc.). There were some pretty good wigglers! To work those fine motor skills. Select Worksheets from this Circus Fun Preschool Pack. 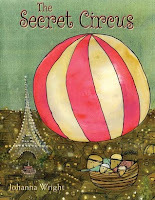 Namely, I took the Circus Story and the words to circle and put them together. 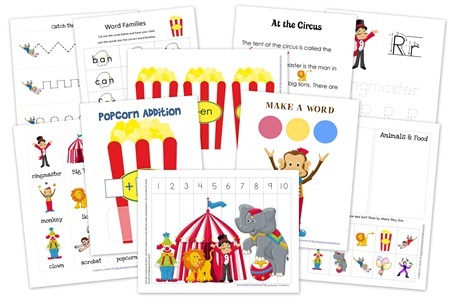 I gave each child one so they could do the activity there or at home. RECEPTION: Everyone really enjoyed the first book, including the parents. 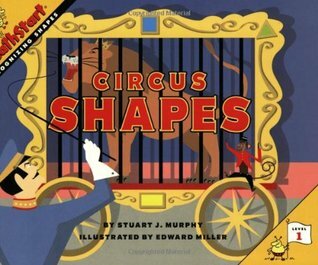 Circus Shapes was a good choice because it allowed a lot of interaction and shape recognition. Each child got excited when they saw their shape and were able to bring them up to the board. We have some brand new babies in the group, so attention was slim and that's why I cut out the third book. The activities were educational and fun enough, so we didn't really miss out on anything! Follow My Carnival/Circus Board on Pinterest.